The result of the IAS Prelims 2014 was declared on 14 October 2014 and only around 17000 candidates qualified for the IAS Main 2014 Exams. 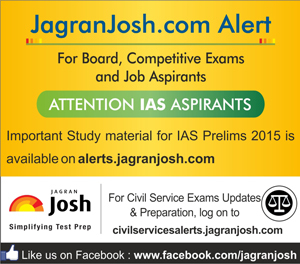 Around 4.5 Lack candidates appeared for the IAS Prelims 2014 and out of them only 17000 cleared the IAS Prelims Exam 2014. Each of the candidates feels that there is dearth of well written, compact and effective Study Material which can be accessed anywhere on the go, can make studies more interesting and provide ore simulated conditions to prepare for the IAS Prelims. 8. Questions relating to English Language Comprehension skills of Class X level (last item in the Syllabus of Paper-II) will be tested through passages from English language only without providing Hindi translation thereof in the question paper.